Are you looking for a beautiful plant to add to your landscape design? 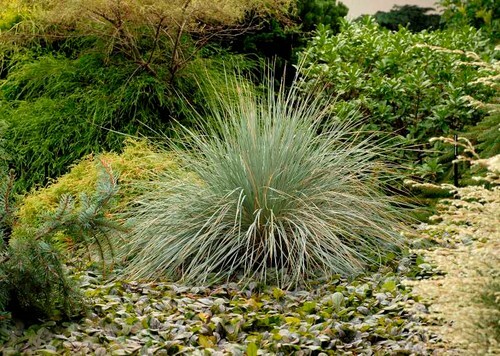 If so, we at Lifescape Colorado recommend Blue Avena Grass, also called Blue Oat Grass. If you get started now, this gorgeous plant can be established just in time to benefit from its midsummer seed-out. This occurs when groups of tan seed heads gracefully arch from the plant’s head, contrasting with the rest of it’s blue-green foliage. Here are some of the other reasons why Blue Avena Grass (Helictotrichon sempervirens) is one of our favorite Colorado native plants. It provides year-round interest. So many “favorite” flowers and plants are only visually interesting for brief windows of time, but they don’t necessarily contribute much during their off-seasons. 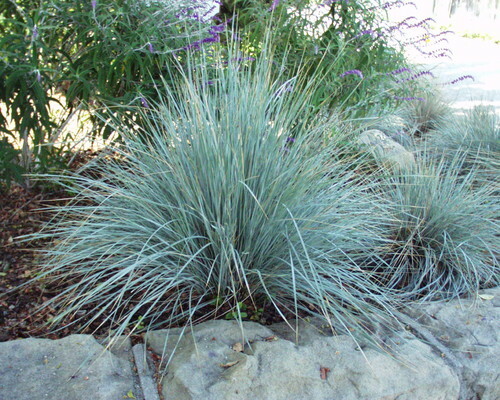 Blue Oat Grass is beautiful all year long, which is a major bonus for Colorado gardens. The spiky and perky plant will stay blue during all four seasons. Then, in mid-summer and under full-sun exposure, its visual interest increases when tan seed heads sprout, making this grass even more colorful. Low-maintenance gardening. One of the greatest benefits of growing native plants is their low-maintenance and drought tolerant characteristics. Blue Avena Grass is no exception — it likes dry, sandy, well-draining soil, which we have plenty of in our Rocky Mountain landscape! Once this plant is established, you’ll hardly have to water it at all. As happy in a container as in the ground. Container gardening adds wonderful visual appeal to your landscape. You can rearrange containers to achieve different looks on smaller patios and deck spaces. 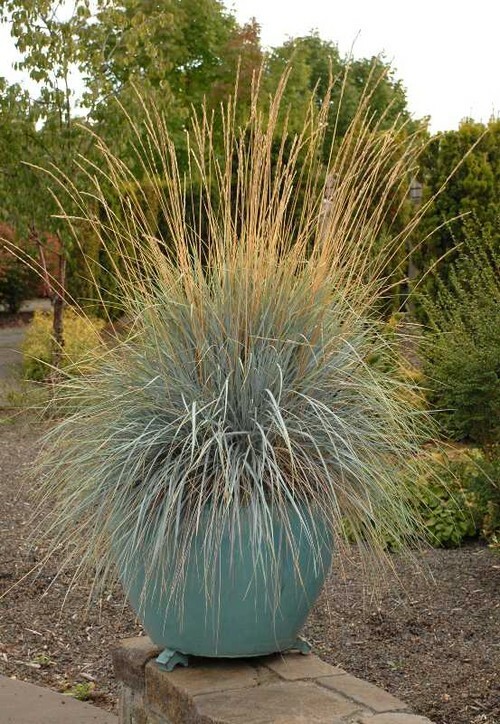 Fortunately, Blue Avena Grass is just as happy in a large container as it is in your plant beds or landscapes, which makes it a beautiful addition to your container garden. You can grow Blue Avena Grass from seed in the spring, or buy more established clumps from a local nursery. Come next spring, you can divide these grass clumps and move transplants to new locations. Contact Lifescape Colorado, a full landscape design and maintenance firm, to choose the ideal site location for beautiful Colorado native plants.